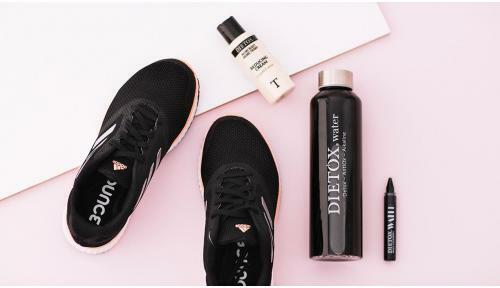 Do you want to include the Dietox bottle? Fit Water is the new nutricosmetic, which in seconds, will turn your water into a powerful draining, cleansing and invigorating treatment for your body. Fit Water is an exclusive and safe formula that provides high bioavailability and flash effect instant absorption of its highly effective ingredients, which are absorbed directly into the bloodstream without needing to be digested, achieving the best possible results. Fit Water is the perfect accessory for diets, detox fasts and fitness routines, due to being a vitaminized alkaline water, which multiplies its draining effect thanks to the green tea and powerful cleansing plants. We recommend 20 days of Fit Water every two months as the ideal routine for controlling water retention, aiding weight-loss and maintaining a state of optimum muscle tone. Fit Water contains 0 Kcal, is suitable for vegans and, with a delicate hint of lemon flavour, it is the perfect complement for people looking to be the best version of themselves using convenient, intelligent and effective ingredients. You will notice the difference from the very first day. 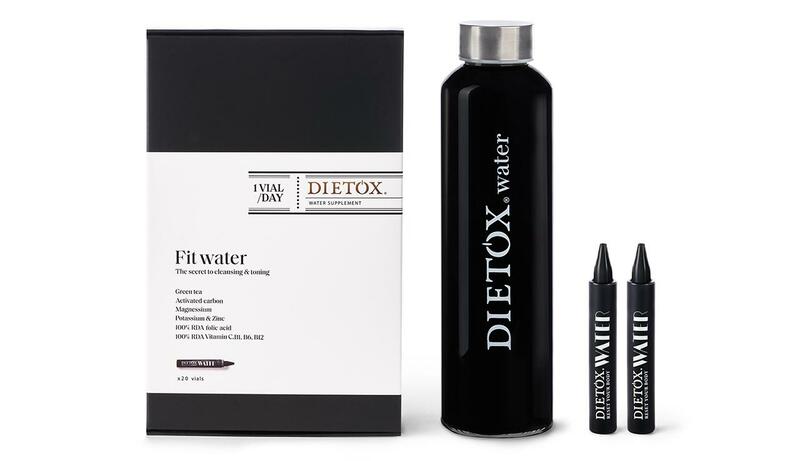 The box contains 20 vials, and with it, you can receive the exclusive Dietox water glass bottle to carry your Dietox water with you wherever you go. Add 1 vial to 500 ml of water. Shake the mix for 20 seconds. Your water is now Dietox water. Start drinking your Dietox water and enjoy it during the day. Dandelion, milk thistle, horsetail, hawthorn and stinging nettle. Together with milk thistle, they make the perfect pair to enhance the detox effect. INGREDIENTS PER RECOMMENDED DOSE (1 vial): magnesium gluconate, tripotassium citrate, milk thistle, horse tail, dandelion, hawthorn, nettle, green tea, activated carbon, vitamin C, xanthan gum, purified water, zinc gluconate, vitamin B6, vitamin B1, vitamin B9, vitamin B12. RECOMMENDED DAILY DOSE: One 10ml vial diluted in 500ml of water. 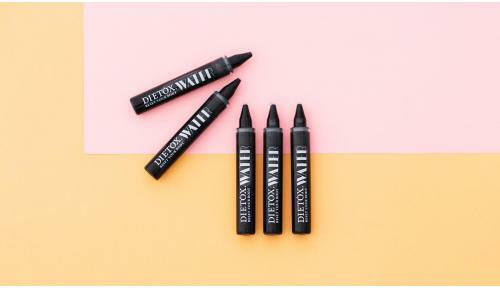 Contains: 20 x 10ml vials. Weight-loss effect, increasing calorie burning thanks to the Green Tea, which also reduces oxidative stress and improves the metabolism of fats during exercise. Cleansing detox effect, thanks to its cleansing plant content: dandelion, milk thistle, horsetail, hawthorn and lemon balm. Immediate detox effect and immediate elimination of toxins thanks to the alkalinity provided by the activated carbon. This ingredient also helps prevent stomach bloating, improves digestion and reduces cell oxidation, rejuvenating the body. Helps maintain muscle tone and invigorates the body, restoring essential minerals thanks to its Magnesium, Potassium and Zinc content. Eliminates carbohydrates and fats due to its Vitamin B6 content (100% RDA). One vial of Fit Water contains the same amount of Vitamin B6 as 10 garlic cloves. Maintains strong defences thanks to providing 100% of your RDA of Vitamin C, Folic Acid, Vitamin B1 and Vitamin B12.